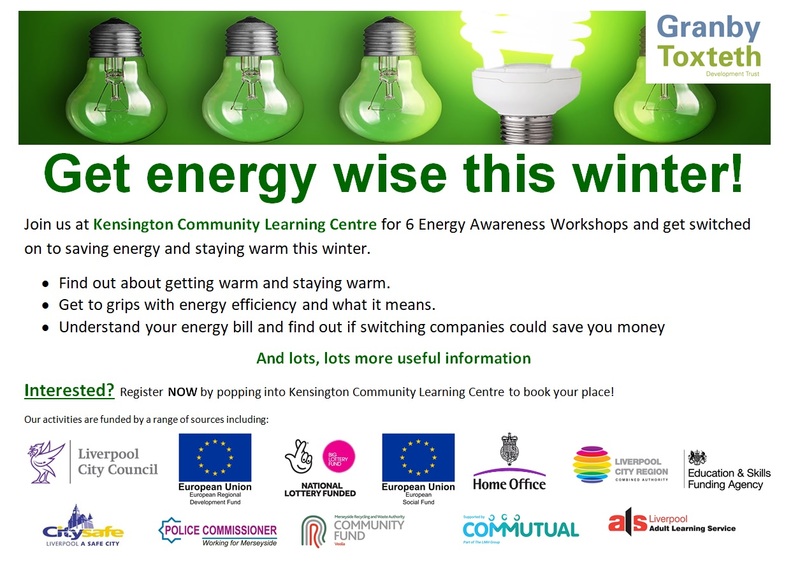 Granby Toxteth Development Trust: Get energy wise this winter! Get energy wise this winter! We are working with our partner at Kensington Community Learning Centre to deliver a series of 6 energy awareness workshops to help you get warm and stay warm this winter. If you are interested in taking part, either contact us at Granby Toxteth Development Trust or pop into Kensington Community Learning Centre.